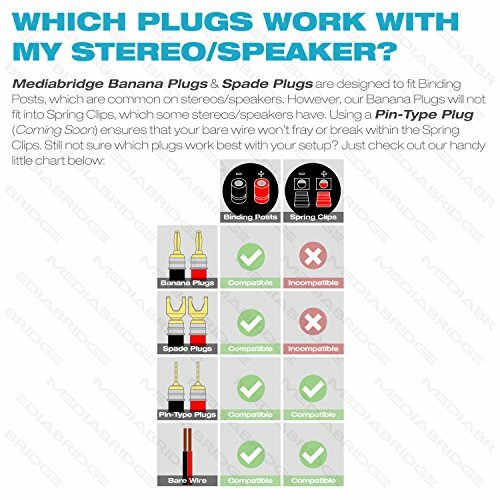 Includes 4 pairs of banana plugs, which are meant for attaching to speaker wire and supplying a high-quality signal path from audio components like a speaker to an audio/video receiver, amplifier or other professional sound application. 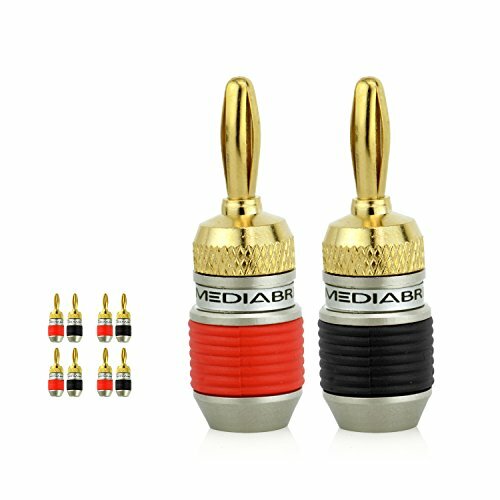 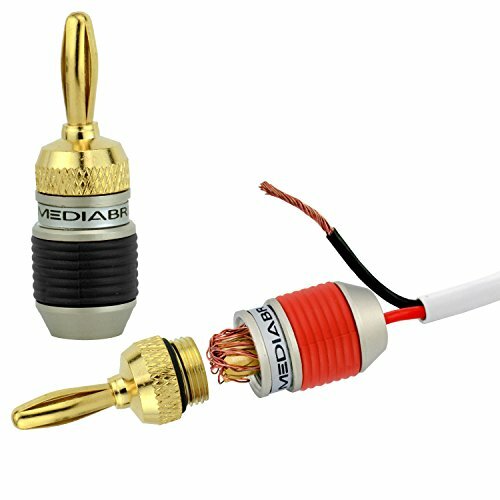 Compatible with bare wire, spades, or other banana plugs, and work with 8-18 AWG speaker wire. 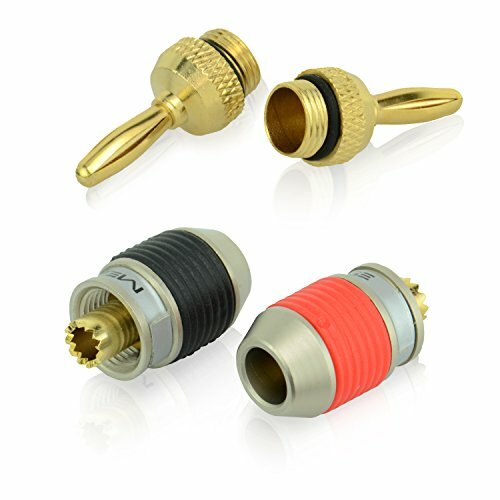 Connectors crimping teeth are coated in corrosion-resistant 24K gold-plating for lasting, for secure fits with clarity, natural sonic accuracy and no distortion. 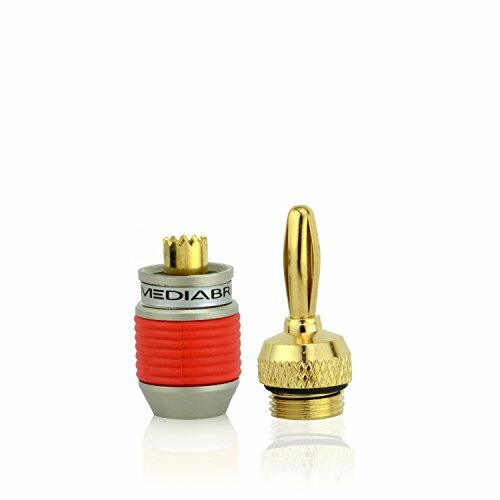 A wider base minimizes shorting for maximum signal transfer, and a 2-piece screw-on design makes for reliable termination/reuse. 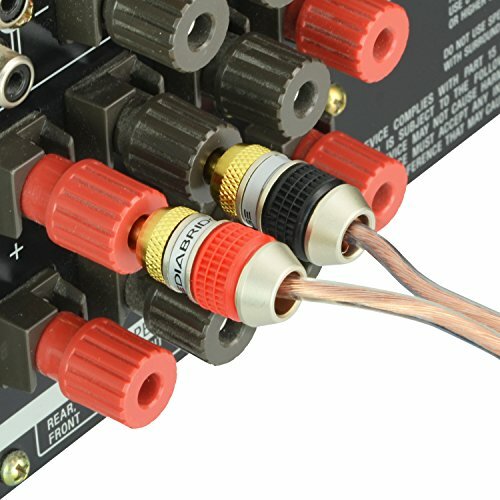 Simply connect existing speaker wires to a banana plug through its bottom piece (step-by-step installation guide included). 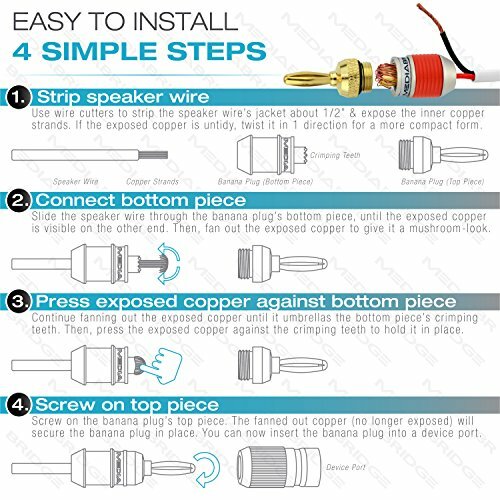 Self-crimping teeth make for easy one-time installs, and a low profile build only sticks out 1″.